The Air Combat Command F-16 Demonstration Team at Shaw AFB, SC performs precision aerial maneuvers to demonstrate the unique capabilities by one of the Air Force’s premier multi-role fighters, the F-16 Fighting Falcon. The team also teams up with Air Force Heritage flight exhibiting the professional qualities the Air Force develops in the people who fly, maintain and support these aircraft. Lineage. Established as 20 Fighter Wing on 28 Jul 1947. Organized on 15 Aug 1947. Redesignated as: 20 Fighter-Bomber Wing on 20 Jan 1950; 20 Tactical Fighter Wing on 8 Jul 1958; 20 Fighter Wing on 1 Oct 1991. Assignments. Ninth Air Force, 15 Aug 1947; Fourteenth Air Force, 1 Feb 1949; Tactical Air Command, 1 Aug 1950; Ninth Air Force, 22 Jan 1951 (attached to Tactical Air Division, Provisional, 25 Apr-10 Oct 1951; Tactical Air Command, 6-30 Nov 1951); Tactical Air Command, 1 Dec 1951 (attached to 49 Air Division, Operational, 12 Feb 1952-); United States Air Forces in Europe, 31 May 1952 (remained attached to 49 Air Division, Operational); Third Air Force, 5 Jun 1952 (remained attached to 49 Air Division, Operational [later, 49 Air Division (Operational)], to 1 Jul 1956); Seventeenth Air Force, 1 Jul 1961; Third Air Force, 1 Sep 1963; Ninth Air Force (later, Ninth Air Force [AFCENT]; United States Air Forces Central Command), 1 Jan 1994; Ninth Air Force, 5 Aug 2009- . Operational Components. Group. 20 Fighter (later, 20 Fighter-Bomber; 20 Operations): 15 Aug 1947-8 Feb 1955 (detached 26 Jul-c. 17 Dec 1950 and 25 Apr-10 Oct 1951); 31 Mar 1992-1 Jan 1994; 1 Jan 1994-. Squadrons. 42 Electronic Combat: assigned 1 Jul 1983-1 Jun 1985, attached 2 Jun 1985-24 Jan 1991, assigned 25 Jan 1991-1 Jul 1992. 55 Fighter-Bomber (later, 55 Tactical Fighter; 55 Fighter): attached 15 Nov 1952-7 Feb 1955, assigned 8 Feb 1955-31 Mar 1992. 77 Fighter-Bomber (later, 77 Tactical Fighter; 77 Fighter): attached 15 Nov 1952-7 Feb 1955, assigned 8 Feb 1955-31 Mar 1992. 79 Fighter-Bomber (later, 79 Tactical Fighter; 79 Fighter): attached 15 Nov 1952-7 Feb 1955, assigned 8 Feb 1955-31 Mar 1992. Stations. Shaw Field (later, AFB), SC, 15 Aug 1947; Langley AFB, VA, 9 Nov 1951- 22 May 1952; Wethersfield RAF Station (later, RAF Wethersfield), England, 31 May 1952; RAF Upper Heyford, England, 1 Apr 1970-1 Jan 1994; Shaw AFB, SC, 1 Jan 1994-. Aircraft. P (later, F)-51, 1947-1948; P (later, F)-84, 1948-1950, 1950-1951, 1951- 1957; F-100, 1957-1971; F-111, 1970-1993; EF-111, 1984-1992; A/OA-10, 1994-1996; F-16, 1994-. Operations. Trained to maintain proficiency as a tactical fighter unit, 1947-1950. Provided P-51 training for Turkish officers, Feb-Apr 1948. Wing headquarters not operational, 25 Apr-10 Oct 1951. Moved to England in May 1952 with a mission of maintaining proficiency for tactical operations with conventional and nuclear weapons in support of North Atlantic Treaty Organization (NATO) operations in the European area. Conducted tactical exercises and firepower demonstrations. Operated from RAF Greenham Common, England, 29 Apr-17 Aug 1976. Added electronic combat mission in 1983. Participated in numerous tactical and electronic countermeasure exercises at many operating locations with other USAF and Allied organizations. Deployed aircraft and personnel to Southwest Asia and Turkey providing tactical and electronic combat operations against Iraq, 17 Jan-28 Feb 1991. Won the 1991 Gunsmoke tactical gunnery competition in the F-111 category. Relieved of electronic combat mission on 1 Jul 1992. 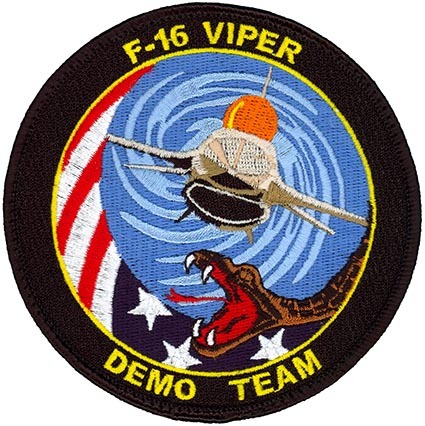 Moved without personnel and equipment from England to South Carolina on 1 Jan 1994, inheriting the personnel and equipment of the 363 Fighter Wing. Took part in training exercises and deployed squadrons periodically to Southwest Asia on rotation to enforce no-fly zones over Iraq during the 1990s. In 1999, wing elements took part in the Air War over Serbia (Yugoslavia). Provided and sustained combat-ready air forces, 2000-. Decorations. Meritorious Unit Awards: 1 Jun 2007-31 May 2009; 1 Jun 2009-31 May 2011; 1 Jun 2011-31 May 2012; 1 Jun 2012-31 May 2013. Air Force Outstanding Unit Awards: 1 Jul 1956-30 Sep 1957; 1 May 1963- 31 Dec 1964; 1 Jan 1965-31 Mar 1966; 1 Jul 1968-31 Mar 1970; 1 Sep 1970-30 Jun 1972; 31 Mar 1973-30 Jun 1974; 1 Jul 1977-30 Jun 1979; 1 Jul 1981-30 Jun 1983; 1 Jul 1987-30 Jun 1989; 1 Jul 1990-30 Jun 1992; 22 Jan-12 Mar 1991; 1 Oct 1992-30 Sep 1994; 1 Jan-31 Dec 1994; 1 Jun 1997-31 May 1999; 1 Jun 1999-31 May 2001. Bestowed Honors. Authorized to display honors earned by the 20 Operations Group prior to 28 Jul 1947. Service Streamers. World War II American Theater. Campaign Streamers. World War II: Air Offensive, Europe; Normandy; Northern France; Rhineland; Ardennes-Alsace; Central Europe. Decorations. Distinguished Unit Citation: Central Germany, 8 Apr 1944. Emblem. Approved on 18 Dec 1934 for Group and 31 Oct 1951 for Wing; updated on 24 Jul 1995.